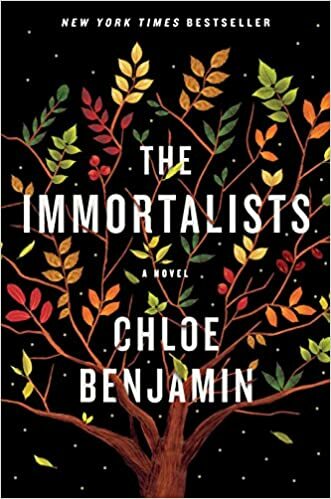 The Immortalists Book Review – WOW! If you do not have this book on your TBR you need to add it right now. This book commanded my attention for just 24 hours, I flew through it like an obsessed cat with catnip. I even read this book on the weekend that I had all my kids at the house which is unusual. I toggled back and forth from my phone and my Kindle depending on where I was. I could not stop reading this book. It kept sucking me back into its words and world. This is the book that I will be recommending to everyone from this day forward and is my new favorite for 2018. The anticipation for this book was high for me which added to the happiness. (See my post on happiness here.) I had put this book on hold through Overdrive and kept checking the app to see how long I would have to wait. When the email notification came through I literally yelled in my bedroom from excitement! I was afraid I would be disappointed since the book has been so hyped but luckily this was not my experience. Many of the books lately I have been reading have not been as satisfying as I would have hoped when I cracked open the cover. On Saturday morning I had gotten through the first 2 sections and then made myself go for a run. The entire time I was running I was thinking about the characters. I cannot remember the last book that impacted me this strongly. So what makes this book so great? There is a magical quality about it. It is similar to the feeling I had when I read Gentleman In Moscow by Amor Towles. I am constantly thinking about the characters and what happened to them. The main idea of knowing how much time a person has left and how they choose to live their life is a topic that warrants a lot of conversation. The writing is masterful. Not only is the story and characters intriguing but it is so well written that I feel I was transported into the narrative like I was into Narnia so many years ago. The story centers around 4 siblings. Each section of the book focuses on one of the siblings. Each of the children are told the day they will die. The rest of the book is about the individual siblings and how they live their lives and what happens when the date they were told falls upon them. Chloe Benjamin masterfully weaves the stories together to give you information about the entire family without it feelings disjointed or choppy. The story flows and is written in a way that just makes you want to keep reading. This book makes you think. The narrative has so many different characters and perspectives that you become a better person reading it just from the empathy you gain. If you would like to connect with me about this book please let me know in the comments. I need to talk about this book! What are you excited to read next in your reading life? I would love to know! Standardized testing time is a desert for technology. There can be no devices in the room. Proctors are not allowed on their computers or their phones. No phones are even allowed in the room. Some people go into a panic attack with this news. With our culture always checking phones and apps to the point of new diseases being created for addiction it can be a problem. I welcome the break. It is a lovely feeling. My mind is calm and it feels like stolen time. Time I am getting back from some other crazy time in my life. The fact that I CANNOT be interrupted is a huge break in my work routine. As a teacher coach, people are constantly stopping me in the hallway or showing up at my door for “I just have a quick question” conversations. I love this part of my job, it is just how it works normally. The break is refreshing for the week. Why? I am comfortable with pen and paper. I am comfortable with my thoughts and the silence. I can focus more – on one thing at a time. Whatever it happens to be that I am pondering. It is a gift. With my mind so calm I give the directions calmly and deliberately so the student is able to take the test the same way – calmly and deliberately. Knowing this I should schedule a self imposed technology break periodically. Should. For the third year, I will be participating in the Two Writing Teachers Slice of Life Story Challenge. This year’s challenge begins on Thursday, March 1st. The mission of this online challenge was to support teachers who wanted to write daily. The purpose was to create a community of teacher-writers who would be able to better support the students they serve in writing workshops daily. Teachers were invited to write a slice of life story on their own blog and then share the link to their story on this blog’s call for slice of life stories. Then, each person who left a link to their blog visited at least three other people’s blogs to comment on their slice of life writing. It is simple: Teachers who write are better teachers of writing. I completed the challenge last year but was only able to write part of the month the time before when I was still a reading specialist. The partial year I went to Hawaii for Spring Break and lost my rhythm. Later that year, I ran into Stacy one of the Two Writing Teachers herself at a conference and she recognized my name as a Slicer! I vowed then to participate again. Come join this awesome writing community with me! You’ll become a better writer and make some connections you will treasure. More information is at the Two Writing Teachers. Be sure to come back daily to check out my Slice of Life stories! We talked about the article in the WE DO section of the lesson and we determined collectively the author’s style was not to our taste. Credible sources was a topic of a previously taught lesson and I sensed the teachable moment to spiral back to this idea approaching as I wrote on the chart. So we talked about the stats in the article and how that added to our reading knowledge. To my model sentence, I added the idea of more credible sources. This reading changed me because I need a more incredible source. I couldn’t agree more! Sources should be incredible! They are more memorable that way. Micro-action to lead to the BIG CONCEPT: Good FOOD every day! One particular thing that makes me happy is a lunch for the work day. Sometimes my hubby packs my lunch and sometimes I take the time to pack it myself. I thought about a friend I worked with that packed her lunch every day when I taught with her 10 years ago. I admired the self-care that she took to make her lunch special every day. It was always balanced and she often packed some type of delicious looking fruit along with her sandwich. It was the type of lunch I would have traded for when I was in elementary. Today my lunch makes me think of my Oma. Oma is the German word for grandmother but for my Oma, it was her name, not just a label. I heard a little girl call out “OMA!” in IKEA once and I automatically looked for MY Oma even though years had passed since I lost her. Everything about Oma memories are surrounded by food. She loved to cook and was excellent at it. Scrambled egg sandwiches are always comforting food as well as bologna and cheese with Miracle Whip! Today my bologna sandwich nourishes me emotional and physically. It keeps my hunger at bay and also floods me with memories of my childhood! What more can you ask for from lunch? I had an amazing weekend. There wasn’t anything particularly special about the time but it felt that way. As I was running this weekend I was pondering what about the time spent made me so happy. Then I thought; if I can recreate those items I could be happy every day with some micro-actions, or even just a mindset shift that leads to a larger Big Concept for overall happiness. There are studies on happiness that I have read and studied in the past which I will reference as we go through this series of posts. Now you know the thought process…let’s begin! I love to run. I get into ruts every now and then, but I always come back to it. I have a brain that really does not turn off. To be trite, it is a blessing and a curse. Running is one of the few things that allows me to turn off my brain for a short period of time which is a factor I love. When I am angry it gives me an outlet to release some fumes. I much prefer to run outside. I can only make it about 3 miles on the treadmill. This weekend I ran 20 miles in 3 days. It was glorious. I am a happy happy girl when I can get a run in of 10 miles. There is something about that distance that is satisfying. So after analyzing, one of the things I can do is run every day, even if it isn’t the 10 miles! This week I was supposed to go into a classroom to model an annotation and questioning lesson. (The teacher called in sick today so it is pushed to next week now). I love questions. I love to ask them of others and to reflect on them in my own writing and mind. I get questions from readings and listening. What gives me life at work? What wears me out at work? Is there anything I can do to eliminate or diminish the effects of #2? What do I truly want to change? What do I miss from my teaching life? Number 5 is the one that is popping out to me the most today. When I was planning and make the anchor charts for my lesson and thinking about student actions I was excited. I am truly looking forward to the responses and discussion that will come next week. To make the notes and think page more interesting I made it look like sketchnotes. My model on the large chart paper looks like a large version. I want my 7th graders to be motivated and I was thinking about how I would like notes to be more fun. I will let you know how it works! I used to take risks and ask kids in my class all the time to evaluate our practices and reflect. My goal was always to give them strategies they would use forever, not just for the next assignment or test. I also miss the day to day schedule funny enough. I liked the Family meeting time, the group written chart story and mini-lesson, the independent writing time and conferencing. I miss the many real alouds a day and practice time. I need to incorporate a time blocking schedule to my coaching life. Even days that are dedicated to certain tasks to keep myself on track and get more focused work completed. Questions 1, 2, and 3 had me thinking about my first teaching job and a life-changing conversation. A good friend and I in the first building I ever worked in, had a discussion about what I missed about college. She asked me specifically what I missed with the idea that I could incorporate those missed experiences into my life now. To basically take the essence of the actions and make it real again. I took that to heart and made some changes that were wonderful. Question #4 had both a small and large impact on my thinking today. The small impact is a self-editing idea that I learned in high school. A teacher advised reading my piece one sentence at a time, starting at the end. Taking the sentence out of context allowed me to focus on the sentence itself without the content of the story surrounding it. I would be less likely to skip over important details this way. The large impact is a change that I really want to work from home a couple of days of the month. I have to work on a plan to try to make that goal happen. 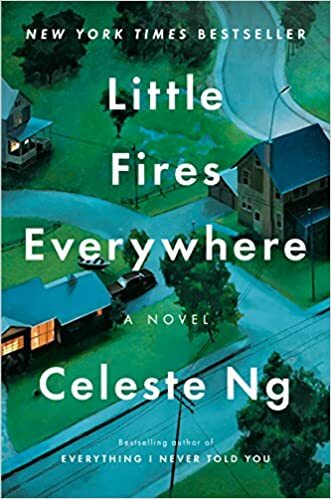 I recently finished Celeste Ng’s Little Fires Everywhere. This book came to be in my possession via Book of the Month Club for September 2017. If you would like to learn more about BOTM click here. I love Celeste Ng’s writing. I enjoyed Everything I Never Told You which I also read for a book club several years ago. There is a certain mystery to the storylines that Ng composes that I enjoy. The two books have this characteristic in common. Family drama is prevalent in this book. If you enjoy reading stories about messed up people, this book is for you. I don’t gravitate toward drama too much – in real life or my book selections. The family storyline reminds me of Commonwealth by Ann Patchett. The character/family threads are somewhat interwoven in Fires but I found them irritating, not intriguing. I most enjoyed Mia in the book. She is an artist, she has a daughter, an interesting family history, and forms a close relationship with a college professor and a poet. She was well written and I cared about her. Overall, I had a hard time getting through this book. I would pick it up, read a few pages and then put it down. I do not prefer to read this way. She had been brought up to follow rules, to believe the proper functioning of the world depended upon her compliance, and follow them – and believe- she did. She had a plan, from girlhood on, and had followed it scrupulously: high school, college, boyfriend, marriage, job, mortgage, children. A sedan with airbags and automatic seat belts. ..
Now here was this Mia, a completely different woman leading a completely different life, who seemed to make her own rules with no apologies. The first part resonates with me because I too had a life plan. My life now looks very different than I thought it would in my teenage years. There is an internal struggle flavor to this section of the book that I gravitate toward in my reading and my own writing so I find that extraordinarily appealing. There is a contrast here between these two characters and an envy on the part of Mrs. Richardson. The life that Mia leads is the most interesting part of the book for me. The description of the book is magical in places. There is a slightly open ending and it is not neat and tidy at the end which I prefer. As to not spoil anything, I will just say I want to know where 3 characters end up and what happens to them after the last page was read. I have my own storyline I have given them – that will have to do! I would love to hear from you in the comments if you read the book and liked it not. Can You Feel the Love!? In the spirit of Valentine’s Day here is a list of things I love today! I bought some old school Valentine cards to give away to teachers today. They have little notepads on them with cheesy puns – what could be better for the day of love and friendship!? If it just makes one person smile, it is worth the small effort. The podcast, the website, Jennifer Gonzalez. If you are a teacher and you don’t know her – look her up now – or just follow this link here. You won’t regret it! The only issue? You will go down a rabbit hole of resources and ideas so tell a loved one to come find you after 3 hours or so. Chart paper that does not require tape – enough said. I love these and have for years. The brown cinnamon one is my favorite. I love great conversations full of big ideas, researchers names, pedagogy, educational theory, and intentional planning for student achievement! It fuels me and I have had several this week. I am working on some pieces to get ready to submit for critique. I have a lot of rough drafts to edit! I love the writing – the act and the product. I have been writing some longhand but mostly on the computer. What are you loving today? Please share in the comments. Professional athletes have coaches their entire careers. There is never a time when a pro athlete says “I know all I need to know”. I’m lucky in my life to have coaches that appear in real life and book format. Yesterday I had a phone follow up conference with one of the external coaches working with our corporation. I was able to unpack my own coaching and get some pushes from her to refine my craft. One of the benefits I adored about my TAP framework training and experience was the ongoing coaching support I received. Christie watched me teach lessons, watched me deliver PD, revised my paperwork and made me a better coach because she honed my skills and helped me overcome deficits. 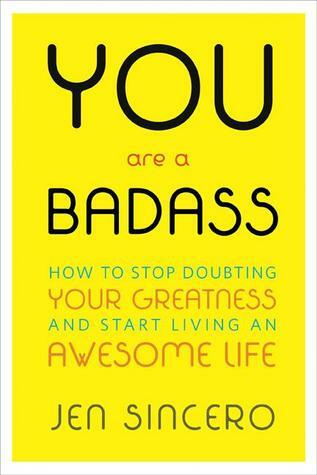 Another way I’ve been coached in the past two weeks is by listening to the audiobook You Are A Badass by Jen Sincero. I ripped through this book. I even chose to listen to it over my podcasts! That is saying something! I loved her style. The book is read by the author and I laughed out loud. The best part is the book forced me to hear some great advice that was just what I needed to hear right now. Yesterday I had a real life meeting with another consultant and my curriculum director. We had such a great professional conversation about teaching and researchers and past experiences and people in the professional field that we all knew. I love those types of conversations and it’s so enriching to me. I wish I had them more often. This year I feel like we have a wheel of consultants! Right now we have 5. There are so many that I forget sometimes which meeting and consultant we are talking about! 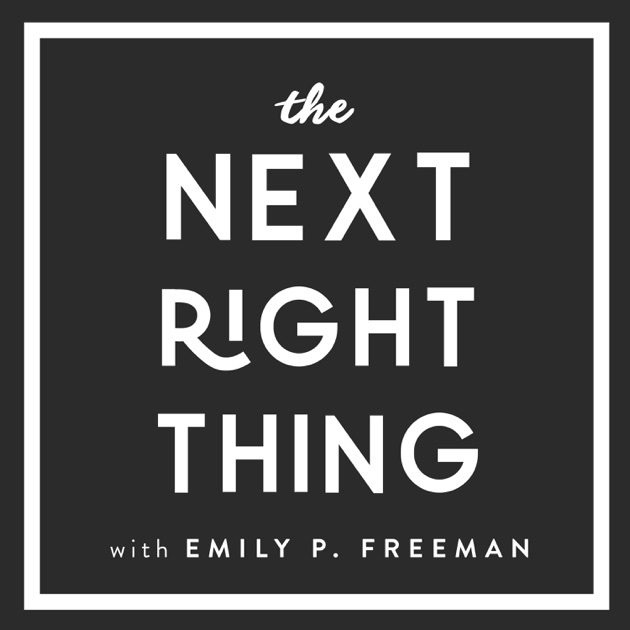 Another coach for me is Emily P. Freeman and her podcast The Next Right Thing. She is nourishing to me. A new podcast came out today if you are interested in giving her a listen! The title is “Look for Arrows (Not Answers)”. Who are the coaches in your life? This is a great TED talk about coaches!